Non-UK readers might need to watch the original 1970s TV credits, repeatedly, to get the joke, or just because it’s guaranteed to make you misty-eyed. This is my ring tone. Honest. Jane Badger brings news of Penguin’s new cover for Black Beauty, by embroiderer Jillian Tamaki, and gosh it is beautiful. See photos on Jillian’s blog here, and, enlarged, here. On sale in my local supermarket. 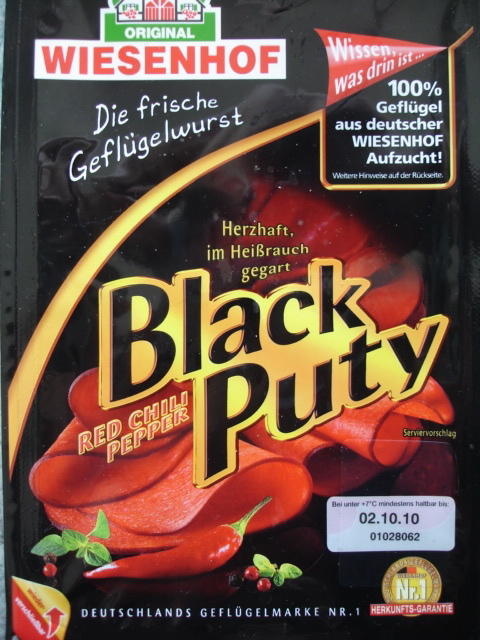 "Puty" is short for the German for "turkey". The theme from TV’s Black Beauty re-cast as a trance anthem with added whinnies. God it’s marvellous.